I spent this morning working hard out in the front flower bed. Six Drift rose bushes were removed because they weren't passing the pretty test. They were gorgeous back in the spring but that window of time was short and the rest of the year they are always yellow and lose their leaves. My motto for the flower beds is be pretty or leave. I'd rather have a little blank space than an ugly bush. A new layer of Texas hardwood mulch was spread. Oh and the last of the zinnias are gone. Boo. It's a long time until we can put out fall to winter plants but for now things are looking good. 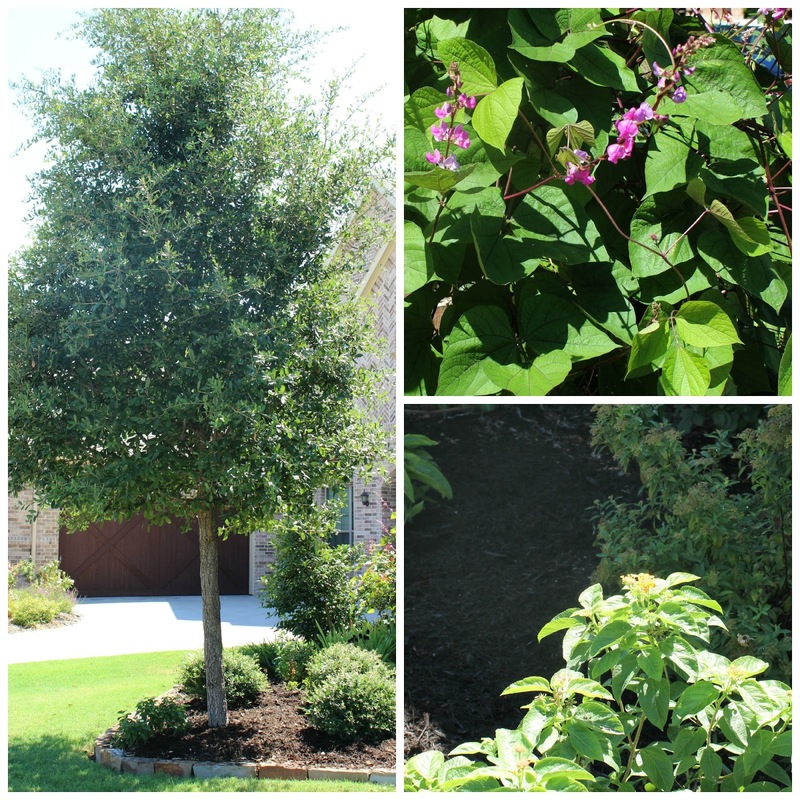 Do you take pictures of your flower beds as the seasons proceed? It helps me remember what worked and what didn't. Next year we will plant more lantana. I agree with you about plants in the garden..."off with them if they don't do their job!!!" I love taking pics of our garden/beds to compare from year to year to see what I can improve on. I haven't been working in the garden lately due to our muggy weather...yuck! We are always moving plants around too, Stacey. I do take pics to remind myself where the perennials are. Comes in handy after the snow has melted. :) Did you save Zinnia seeds? Lantana did not grow well for me, so I always enjoy viewing yours. Happy gardening! I feel the same way about the pretty test for flowers. I have one "french" rose bush that is supposed to have the prettiest scented roses but I'm lucky if I get four roses a year from it. The rest of the year it just an ugly bush. This fall it goes. It's still too hot for me to brave it out there. Maybe by the end of September. Stacey, your garden is lovely. I also spent part of the morning outside placing mums and hanging baskets about. With all the rains, our lawn and flowers are very green! Isn't being in the garden/yard such a treat? I'm like you, I am going to plant more lantana! It works in Texas and the hotter it is, the more they bloom! I'm so ready to get some mums now. Oh and yes, I do take pictures of my beds!! Our garden is in dire need of weeding and a little TLC. I was sick for a while in August and lost some hanging baskets and everything has become overgrown. I agree with you, I am past trying to baby something along that just won't co-operate. I haven't ever thought of photographing the garden so I know when everything blooms. What a great idea! I need to work in my beds, too, Stacey. I've never tied growing lantana...does it do well in shade? I love lantana and plan to plant some next year, it was so pretty this year! My flowerbeds are in need of some work but it has been so hot that I can not get it done yet, hopefully soon! Too cute! I also have some roses that aren't really prettying up the garden.I am trying to be patient;however,I am ready to purge if they don't start performing! I agree. If it isn't working, doing its job being pretty and lush, then it has to go. My zinnia seeds never even came up! I bet your flower beds look wonderful, Stacey - you put so much work into them. It is an ever evolving process of figuring out what works and what doesn't. I love your idea of just getting rid of something if it doesn't look pretty. I was just thinking the same thing about planting more lantana earlier today! I also will use more asparagus ferns in pots. The one I have is still green and healthy after months of cooking in the sun! (I know I will have to take it inside when it freezes though.) You are brave to be out working. I am waiting for it to get a little cooler! Your garden looks so pretty, Stacey! It's getting to be end of the season here, so I've been starting to toss some things out, too! You are such a great gardener and I'm always inspired by your pictures and advice. I worked in the jungle for a little while this morning - until it got too hot. I have so much work to get the garden looking trim and neat again. Hi Stacey, sounds like you gave a fresh look for fall and a clean out. Did the same here and I agree, pretty or leave. Next year, I'm only placing and planting what my garden can take with this heat. Lantana does do well. Still hot but hoping it begins to cool soon. I agree if a plant is not working and happy then they need to go. I take pics to to remember where and what I planted too. Have a wonderful rest of the week and great holiday week end. This is the first time I have not taken pics of my flower beds and they suffered so much with this intense heat this summer!....You always have the most beautiful gardens! Looking good! I agree, if it's not working and looking pretty, ditch it. :) I'm contemplating getting rid of a few knockout roses for that very reason. Lately they seem to have a long time between bloom cycles and that frustrates me. Lol! I definitely take pics of my garden throughout the year and I agree about the Lantana. It can take the heat and is a prolific bloomer. Good stuff! Nice looking flower beds always! Come a long way since you moved in. Hi Stacey. 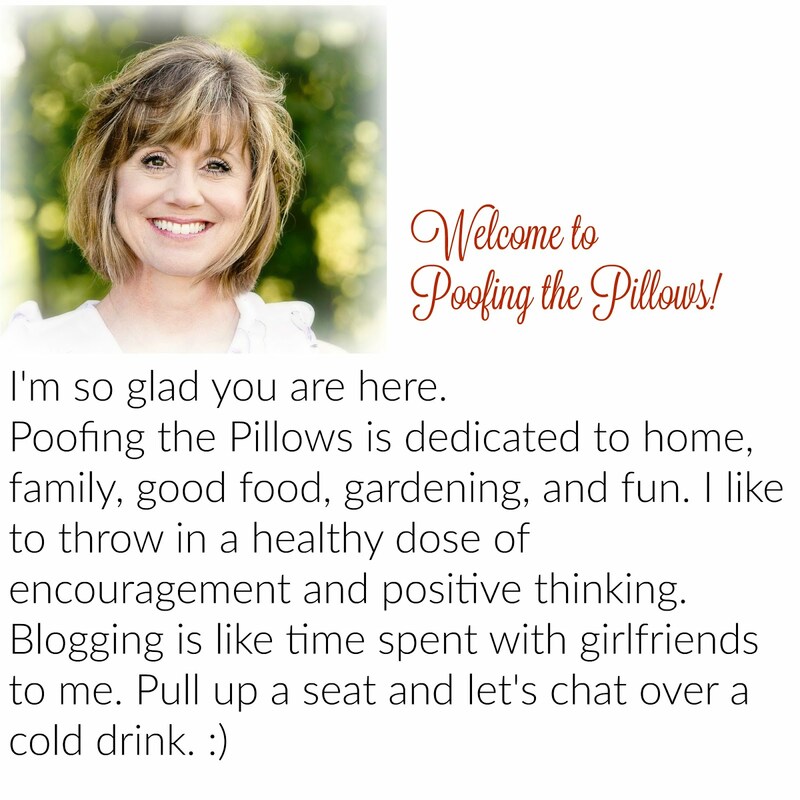 Glad to have found your blog through Brandi! I'm planting more lantana next year, too! AND Texas Sage! I have so much I NEED to do out in the flower beds. Pulling up weeds and Bermuda grass could take up an entire day!! When it's cooled off - THEN I can stay out for hours at a time! You are hilarious! Be pretty or leave....that is too funny but so true! Nothing like an ugly bush to ruin the look of the entire flower bed! Roses are tough in Texas. When we lived there, I tried to get an antique rose to grow....a futile effort in that heat! I struggled for about a 2 months and then I finally had to put it out of my misery! Thanks for visiting me @ My Kentucky Living. I do not take pics of my flower beds, but I do take pics of Christmas decorations so that I can remember what I did the year before. ha! Also take pics of table settings. I need the visual reminder! ha. I had the same problem with the roses....bah-humbug!! Lantana comes in so many colors...I have it everywhere and it spreads itself....great!! Very pretty and I agree about not liking ugly plants or bushes! I am giggling over "Be pretty or leave"...someone definitely needs to make a yard sign out of that. :-) I always love to look at your beautiful flowerbeds. You definitely have the touch! I hope you are having a sensational holiday weekend! I LOVE lantana. Here in PA, it's a great plant for mid summer through fall when it is generally dry. Poor things this year are just getting happy now since we had such a wet spring! I was just reading today that you can no mulch too much! Note to self! LOL Everything looks beautiful, Friend! I love your motto "be pretty or leave"! Your landscaping is beautiful.